I have designed my own throttle body and matching manifold so suit EFI. It's designed as ITB's and with an injector for each cylinder. It is a Roller-Barrel Throttle body design, and I can fairly easy make it suit larger engines and the like, but it is made to fit my A12, taking in mind a port job. Then shipping on top, wich depends. Are you a n let to make these manifolds to suit Toyota RSI 43mm throttle bodies? That would be awesome. 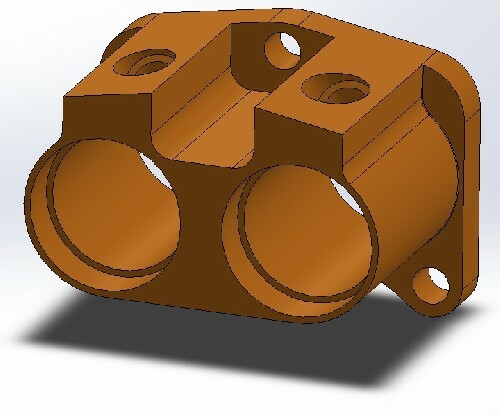 Sorry meant to say are you able to make these manifolds to suit Toyota RSI 43mm throttle bodies? That would be awesome. Looks like these would be extruded aperture bodies? I'm making the prototype in my spare time. It will look a little different ( Will upload a picture later today of the CAD ). 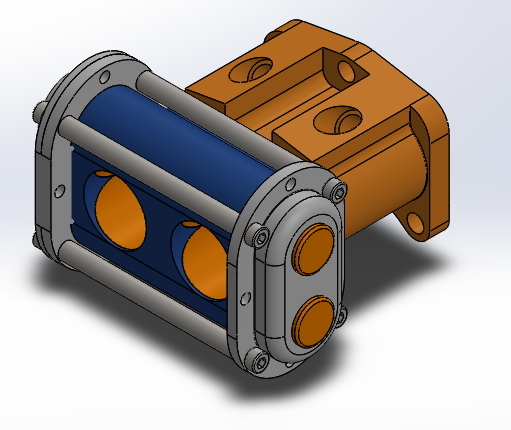 datster, There are two ways I could make them fit the RSI's, 1. make a 31mm pipe to a flange that suits OR 2. Design a set that is made to suit. There is a recess as you can see, and that is made to accept a pipe or flange which you could attach to whatever you'd like. I'll also make some flanges as that is needed by some. Then you could make the adapter yourself. nismo1, with a proper injector that has a good spray pattern, it won't be a problem. Mattndew, I don't follow? They will be CNC'd in alu. Am I correct in saying thats about $42 aus dollars for an EFI manifold set ( ie 2 pieces ) + postage? If that's the case I'm very interested to see you do an oval port version. I could make a oval port version, but the original design i posted here is large enough to suit oval. It was made with a small port job in mind for my own A12. I would prefer if you could make them to suit as I don't have access to welding machines and other tools needed to complete them myself.I don't know about other members but Toyota throttles are easy to find and affordable here in Africa.